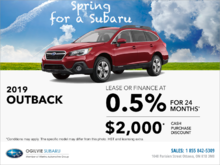 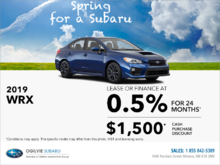 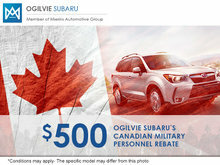 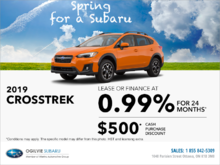 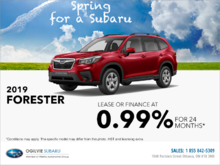 Ogilvie Subaru constantly offers promotions and discounts on new and used Subaru vehicles, as well as on our numerous services. 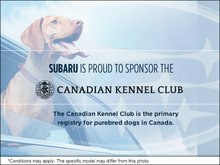 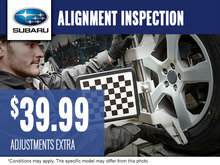 Our promotions will save you money on genuine Subaru parts and accessories and maintenance, as well as with services offered by our dedicated collision centre. 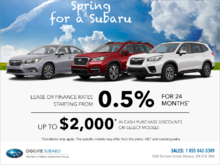 At Ogilvie Subaru, we love finding different ways to save you money, and our various promotions and discounts are proof of that! 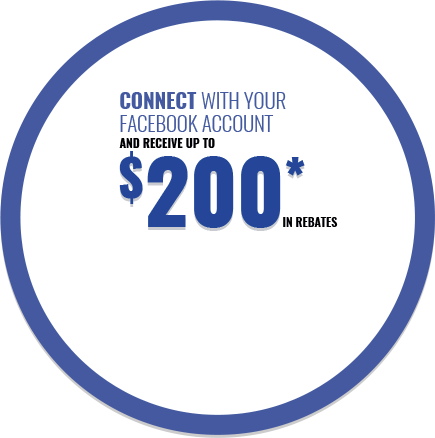 Visit our special offers section frequently as we regularly add new seasonal promotions. 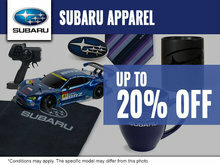 You can also request to be informed of our new special offers and discounts by email. 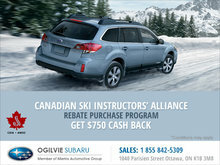 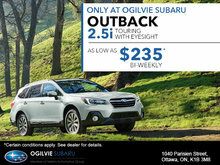 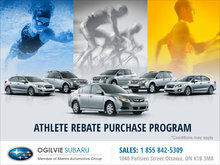 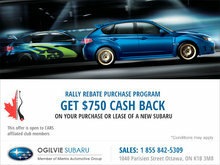 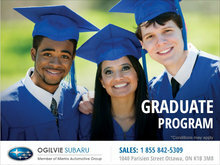 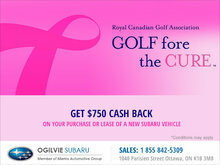 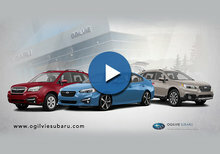 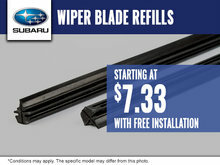 This way, you will be first to know about new and exciting deals available at Ogilvie Subaru!